At one time, I had organized a local homeschool support group, and attended a different one as well. It was during this time that I realized that in many cases, starting to homeschool created issues within marriages and families. It surprised me because it was so different for our family. 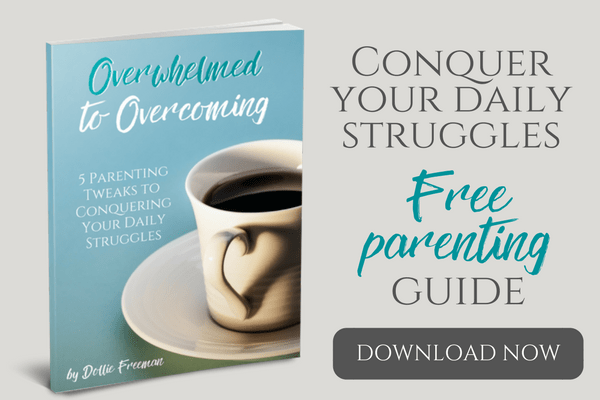 With as many years that I have been homeschooling, I have heard so many different stories about conflicts to homeschool between a husband and wife, and even extended family. 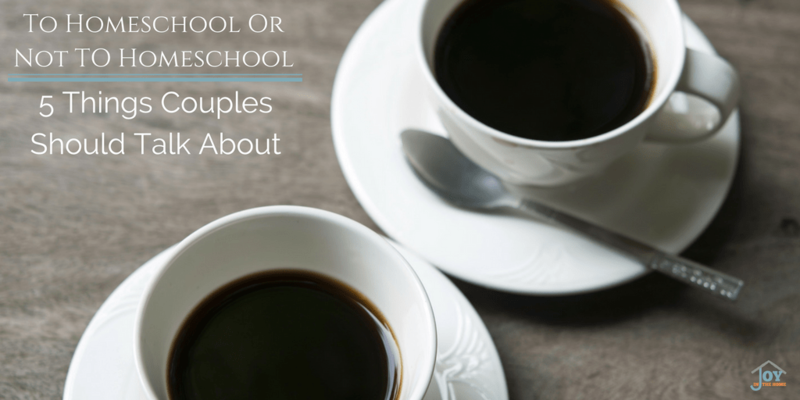 With so many years of homeschooling under my belt, and the different examples of the dynamics of families, I decided to share key things that are important for couples to talk about when trying to decide if homeschool or not to homeschool is right for their family. Regardless of the current thoughts of homeschooling from either spouse, I highly recommend making time to talk about the following 5 things that will help your decision to homeschool or not to homeschool so much easier. Why would you want to homeschool? If you are contemplating homeschooling, you may not understand a lot about it but you are drawn to it for a reason, and this reason is pivotal to your decision for your family. In my own experience, identifying why I want to do something helps me understand my passion and be able to articulate it to others. I would highly recommend creating a list of pros that homeschooling would provide, and discussing this list with each other, to be sure you both agree that each thing is a pro for your family. What are your concerns about homeschooling? With everything in life, I would consider writing down the things that concern you, and label them as cons. Things like, one income for your family, having to solely responsible for the education of your children, and so on. The same thing applies for cons. Identify what cons there are to homeschooling, and write a list that contains them all. I would caution you to not consider that the longest list wins, without discussing the next step first. What obstacles would you need to overcome? Often times, I look at cons as obstacles that need to be considered and then a plan of overcoming these obstacles need to be put into place. For instance, if a one income situation is a concern for you, perhaps working on a budget together or identifying ways to cut your spending dramatically to make it work. Perhaps it is a work schedule for your family. Many families still make this work for them, by homeschooling in the evening and on weekends. Where are you qualified to teach? Depending on your state’s requirements, this may not even be an issue to what a parent is qualified to teach. Starting there would be my recommendation. To learn what your state’s homeschool guidelines are search your state’s name with homeschool laws and you should find a great resource to help you. Often times that comes through a state’s homeschool organization or even HSLDA website. Some families divide the work load to allow the parent with the most strengths in a subject to teach those, and the other subjects are taught by the other parent. 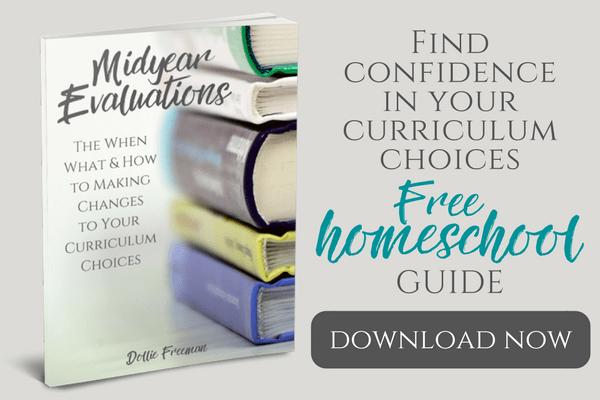 What I love most about homeschooling is that there are so many curriculum choices that often times the teacher’s manual is enough to qualify a parent to effectively teach their children, and fill in any gaps they may have themselves along the way. Where do you feel inadequate to teach? Let’s face it, every person starting something new feels inadequate at first. Yes, even teachers of a brick and mortar school. Feeling inadequate can be a plus, at least in my perspective. What I have found to be true is that when a personal feels inadequate, they seek options that will help solidify their ability. 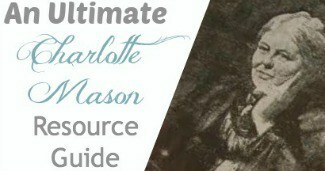 This is a perfect place for a homeschooling family to be, because they look for creditable sources for their curriculum, which could include a tried and true method that feels natural and easy to implement, a full curriculum in a box, online courses, co-op settings, or personal tudors. Those that seek solutions to their feels help their children far more than just putting in a class room that has only one or two options. I hope that helps you decide if homeschooling is the right fit for your family, or not. 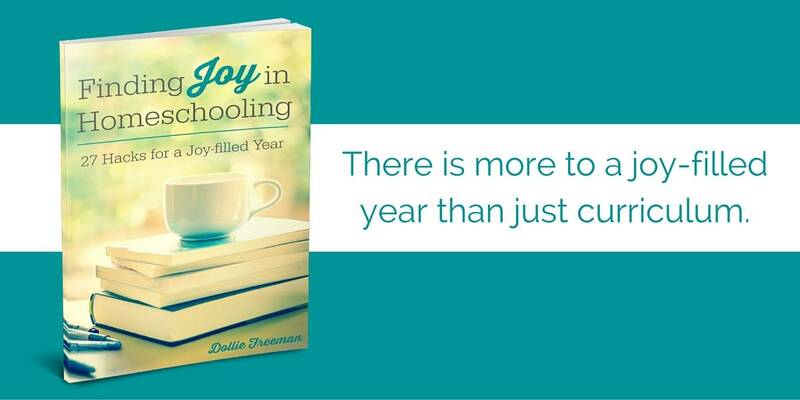 If you did find that it would be, I would recommend my Finding Joy in Homeschooling: 27 Hacks to a Joy-filled Year as a resource to help you walk through the things that will help you do it well, and enjoy it along the way.